Welcome to the SUV version of Infiniti’s entry-level model. It’s called the Infiniti QX30, and you’d have to agree, it is one of the more stylish-looking models in the premium small crossover market. It is a bit confusing, the lineup, so we’ll try and clear that up first. 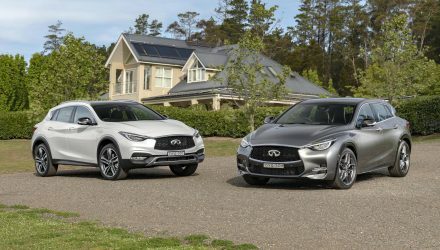 For the 2019 model Infiniti Australia offers three ’30’ series models. 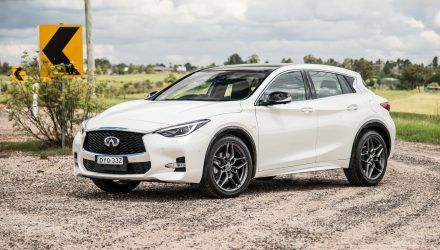 The range spans from the Q30 Pure, the Q30 Sport, to the QX30 Sport. 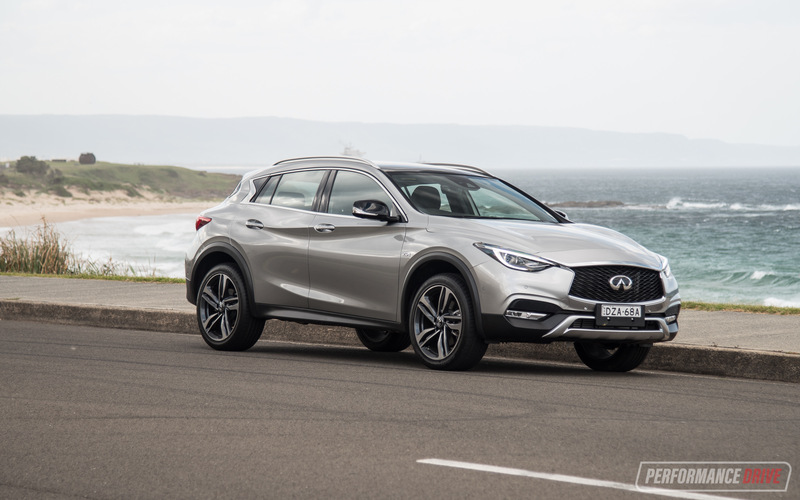 Essentially, the Q30 models are front-wheel drive while the QX30 is all-wheel drive, while featuring the same body and interior. 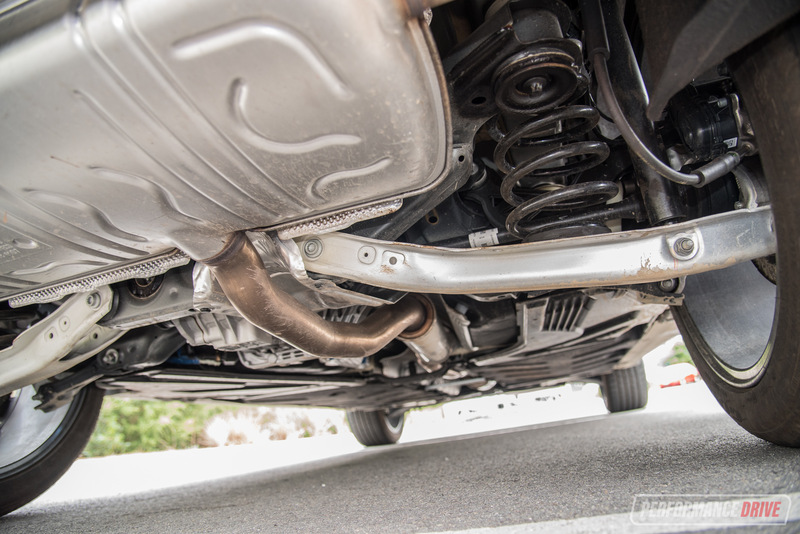 All models are underpinned by the Mercedes-Benz MFA platform, shared with the previous-gen A-Class. 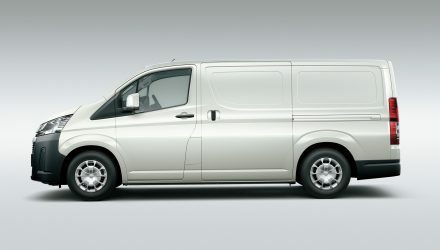 And all are powered by a 2.0-litre turbo-petrol four-cylinder Mercedes engine, producing 155kW and 350Nm. 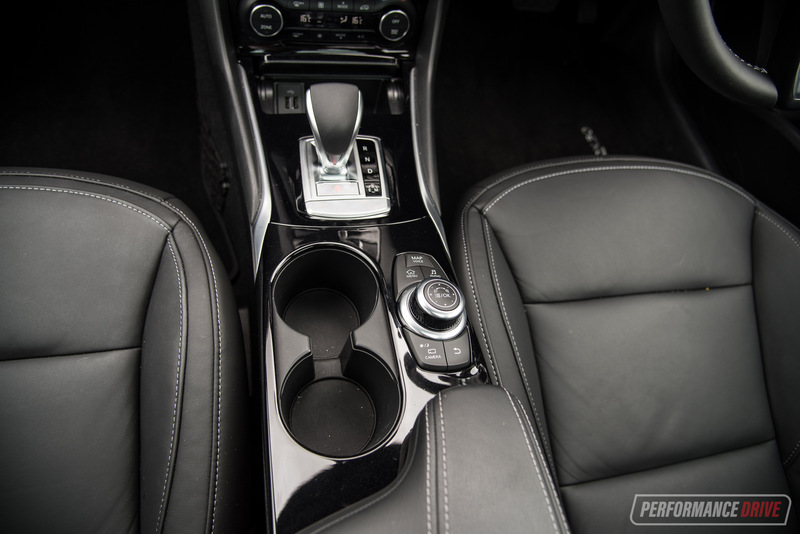 This is sent through a seven-speed dual-clutch automatic. 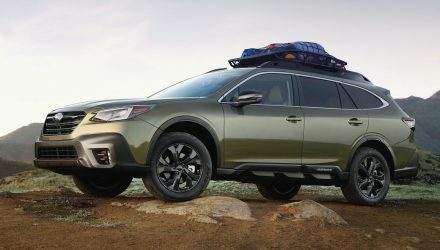 Prices have been reduced for the 2019 model, with drive-away deals being offered to help boost overall value. 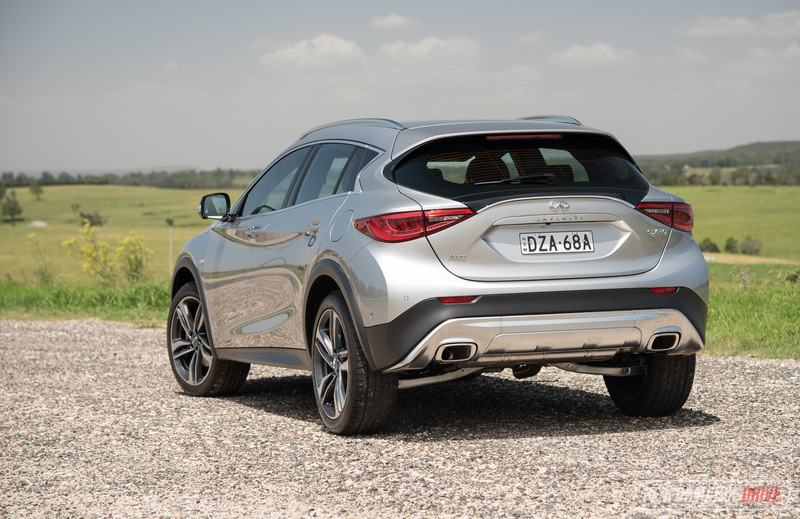 The QX30 Sport starts from $49,888 drive-away, making it one of the more affordable propositions in the class, especially for a flagship model. 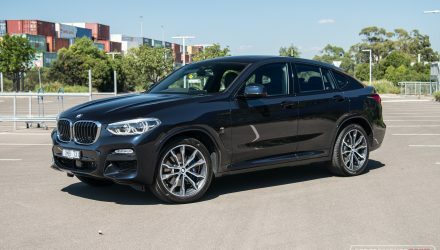 For example, the equivalent Mercedes-Benz GLA 250, with the exact same ‘M270’ engine, retails from $61,800 (excluding on-roads). 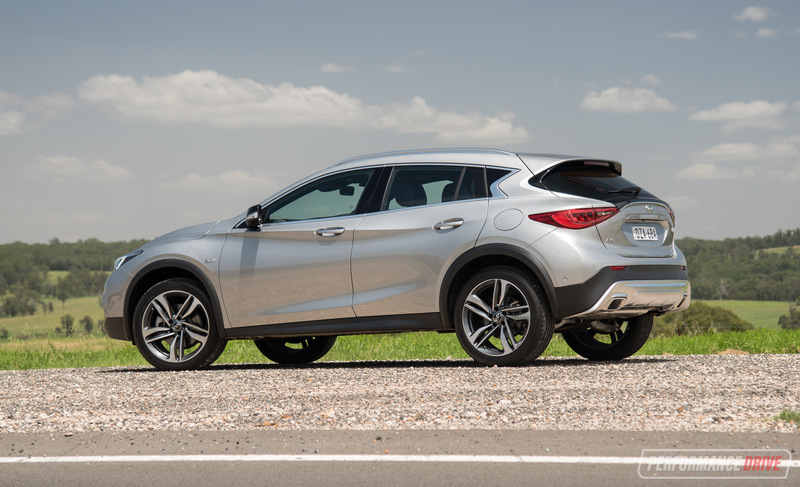 On paper the QX30 Sport seems like a pretty good deal. 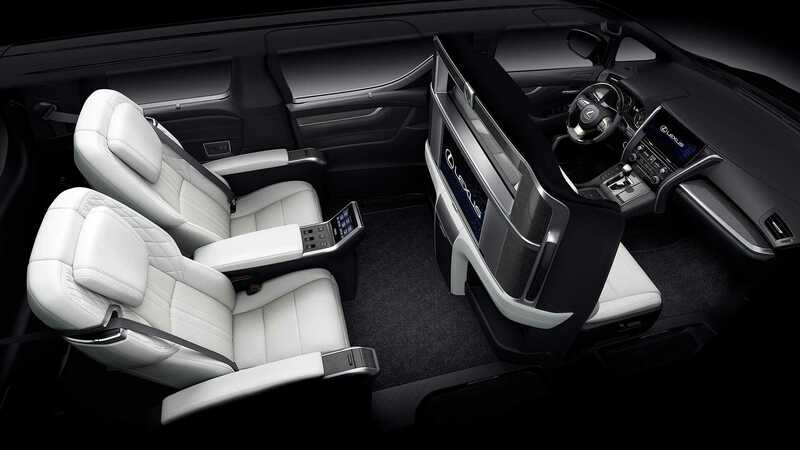 You get loads of features and luxuries, and some advanced safety tech. However, it’s not until you actually open the door and get in that you start to see why it is more affordable than some of the rivals. Up on the dash is a rather ordinary 7.0-inch touch-screen media interface. And yes, it is good that it’s there, but compared with the current market standards, the graphics are poor, the screen size is small, and the menu functionality is basic and lacks the premium touch you might be expecting in this market. 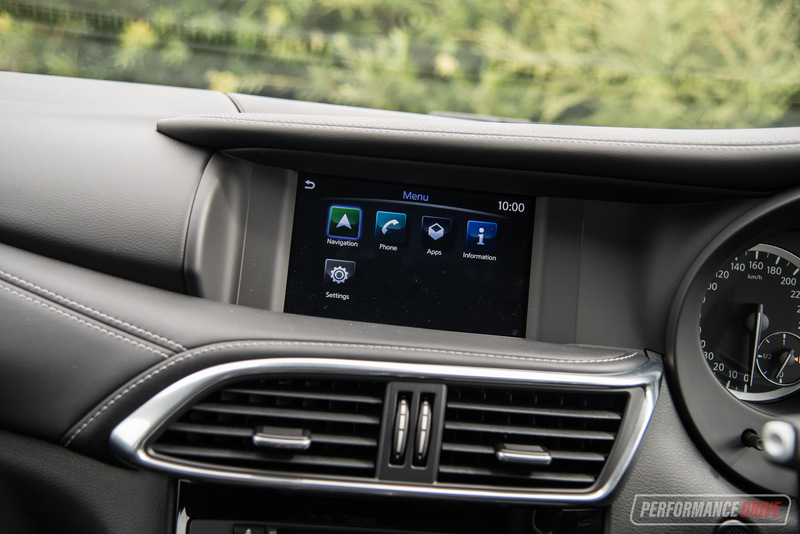 Apple CarPlay and Android Auto are non-existent. 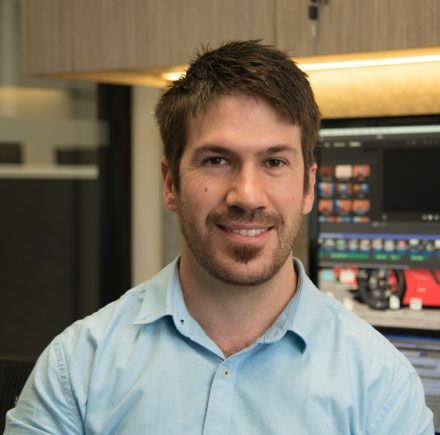 This isn’t such a bad thing in some new-model vehicles, as the factory interface might feature a highly-intuitive set of menus or high-quality graphics anyway. But here, the standard system already falls behind, so it needs something like Apple CarPlay for improved functionality. You can still connect your phone via Bluetooth as normal though, and there are two USB ports. Digital radio is also standard. Speaking of tunes, the Sport variant (both Q30 and QX30) come with a premium 10-speaker Bose sound system. This, on the other hand, is a very good system and compares favourably to some rivals. You can really crank up the bass for a stimulating, concert-like experience. 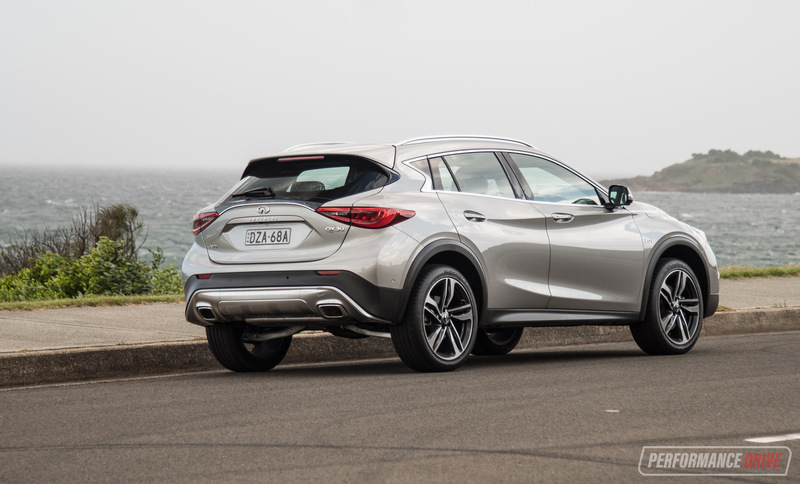 Infiniti has done a great job in the safety department, equipping the QX30 with all of the latest driver assist systems we’d all expect. 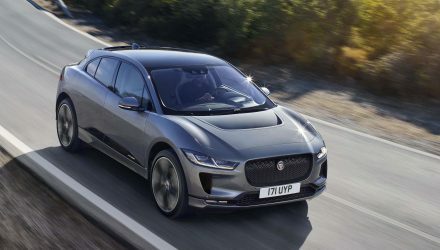 Lane departure and blind-spot warning, autonomous emergency braking (forward), front and rear parking sensors, surround-view cameras, and automated parking are all standard on the Sport. Standard tyre pressure monitoring also comes in handy, as well as traffic sign recognition technology. 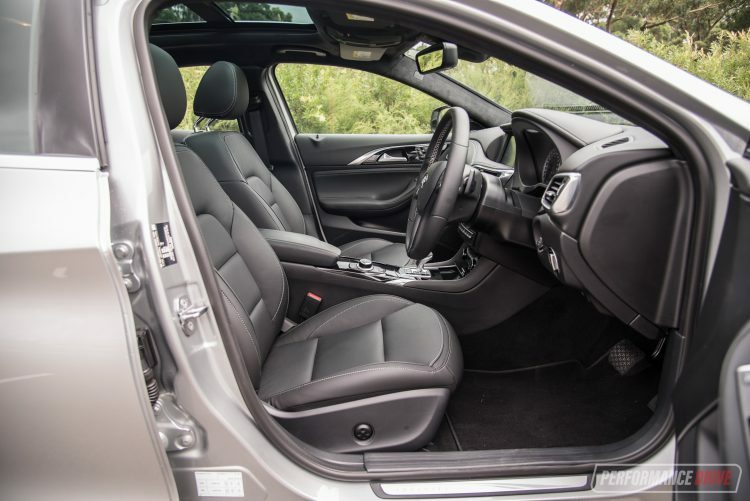 Passenger space in the front is commendable, with decent legroom and headroom. 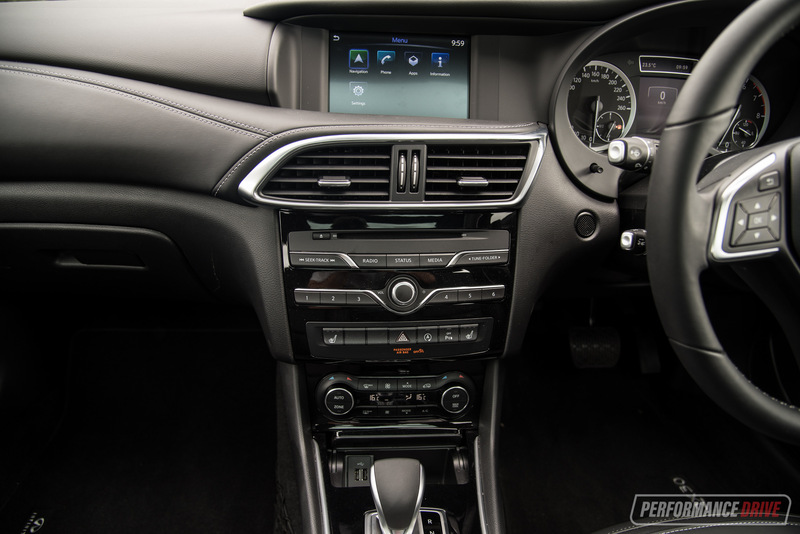 The driving position is pretty much spot on, with a wide range of adjustability for the power driver’s seat and manual tilt-and-reach steering column. 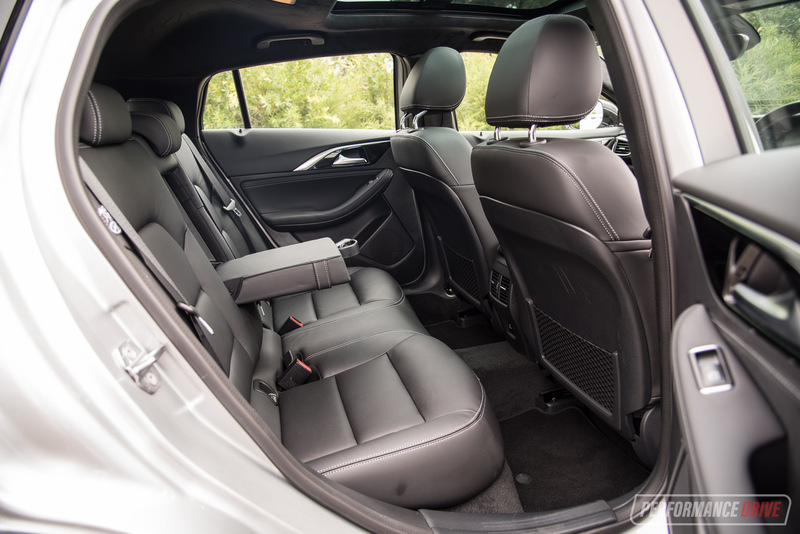 Rear seat legroom is about average for this segment, if you look at this car as a jumped-up hatchback. 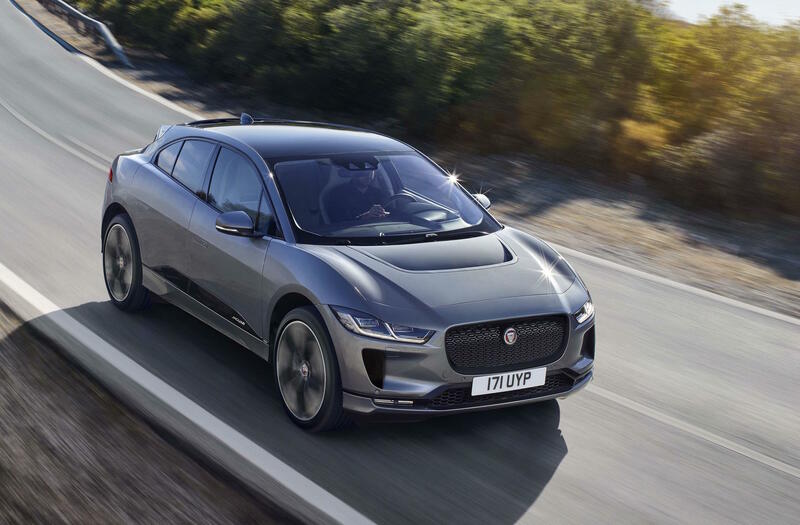 If you compare it to some of the conventional wagon-like SUVs, such as the BMW X1 and Volvo XC40, you might feel a bit shortchanged. 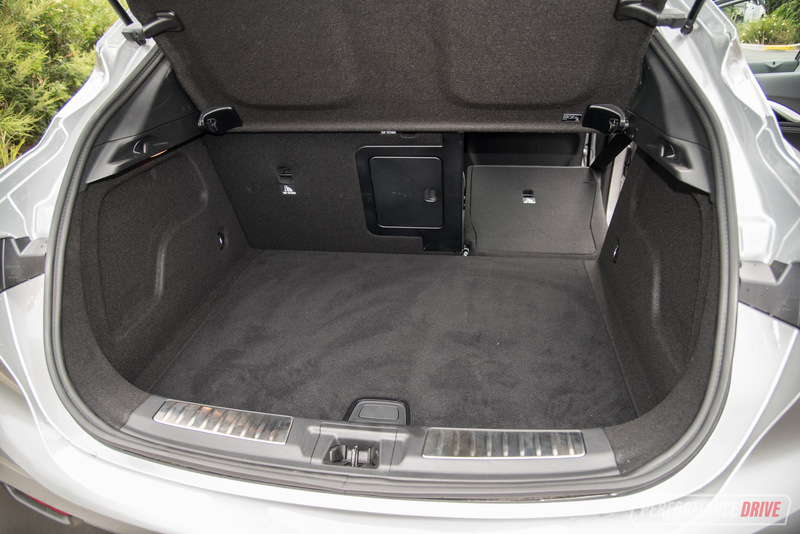 Boot space is measured at 430L, and the rear seats can be folded down almost completely flat. Is it worth going for the QX30 over the regular Q30? This would save you $3000. Well it all depends on whether you encounter regular loose-surface driving, trips to the snow, or live somewhere with lots of rainfall. 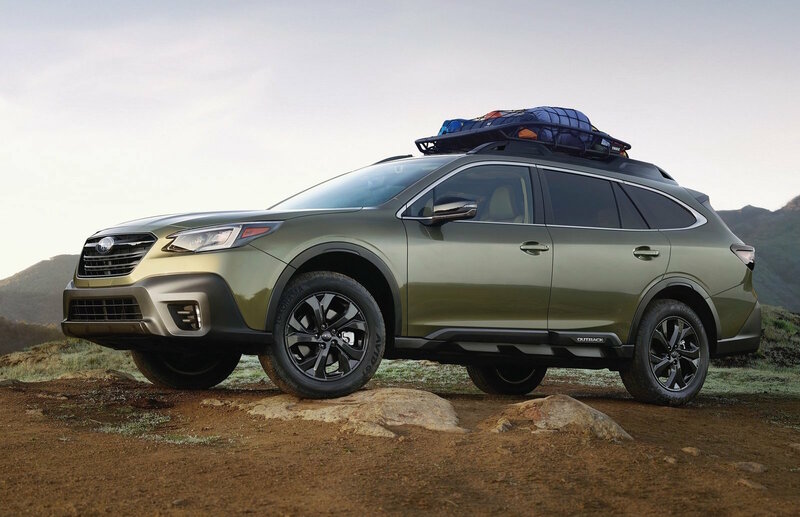 These are the conditions where all-wheel drive can really help and actually improve safety by quite a bit. 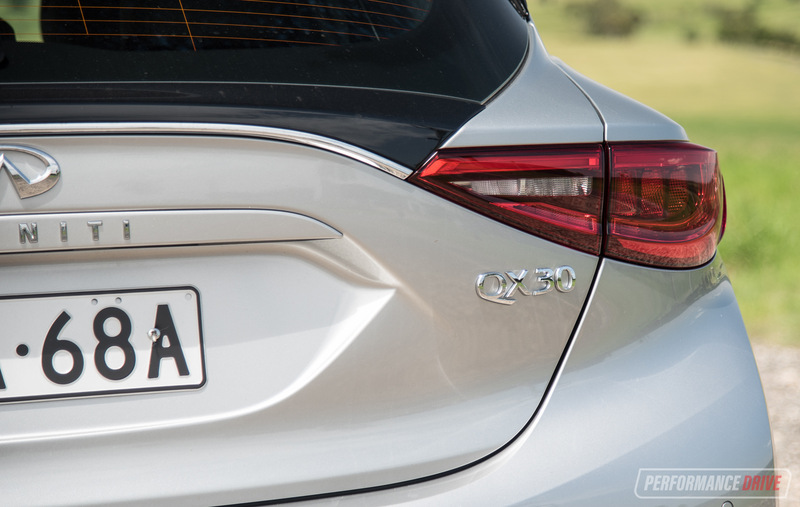 Although it is categorised as an SUV, the QX30 is very much a crossover. 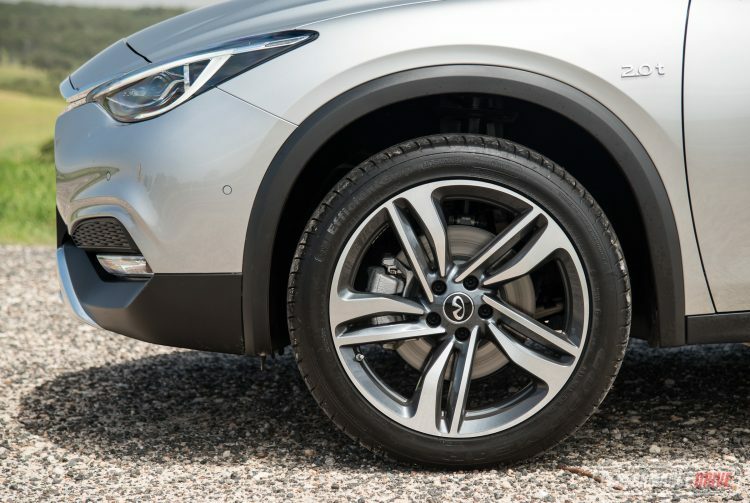 Ground clearance is increased from 155mm in the Q30 to a decent 202mm in the QX30, and the body is somewhat protected by black plastic cladding around the lower edges, compared with the Q30. But let’s face it, the 19-inch alloy wheels wrapped in 235/45 low-profile tyres aren’t exactly ready to rough it. 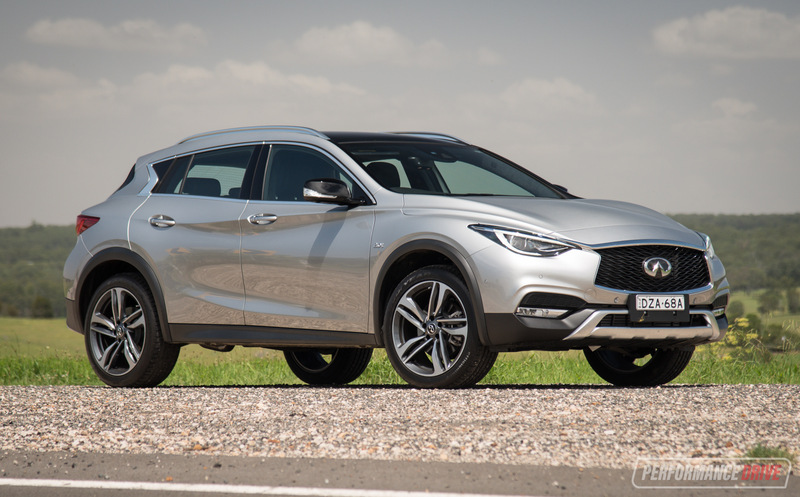 Having driven the Q30, the QX30 does feel a bit heavier (only 50kg heavier) and seems to become uncomfortable when you try to push it around bends. The all-wheel drive system definitely helps with sheer stability though, especially in the wet, but the higher centre of gravity does result in increased body roll. 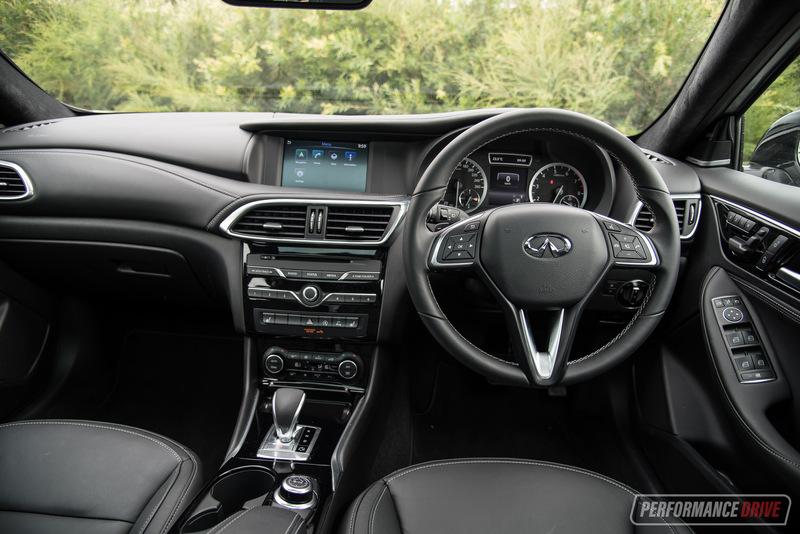 Like the Q30, the QX30’s steering is fairly numb and doesn’t provide a lot of that exciting and engaging communication that you get in some rivals. When you really push it, you’ll be surprised by how well it all tracks and hangs on. 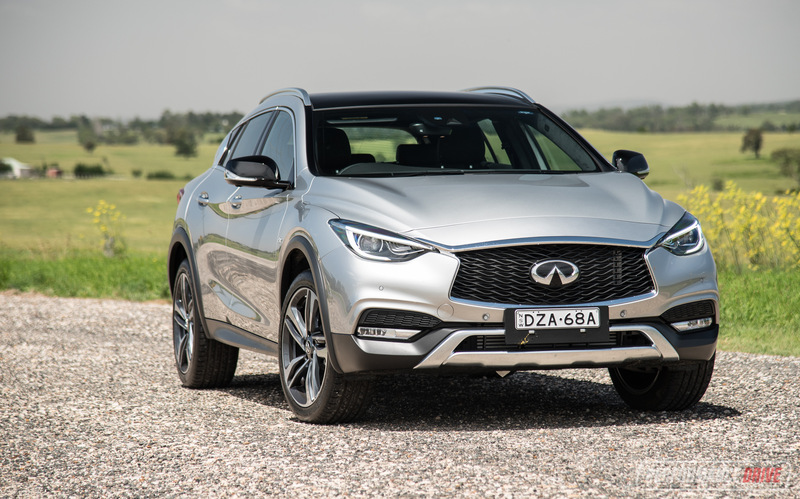 In our opinion, the QX30 is one of those vehicles that doesn’t feel all that special when driving at aggression levels between 50-70 per cent. But then that last push, it just doesn’t give up. It remains committed and very sure-footed. 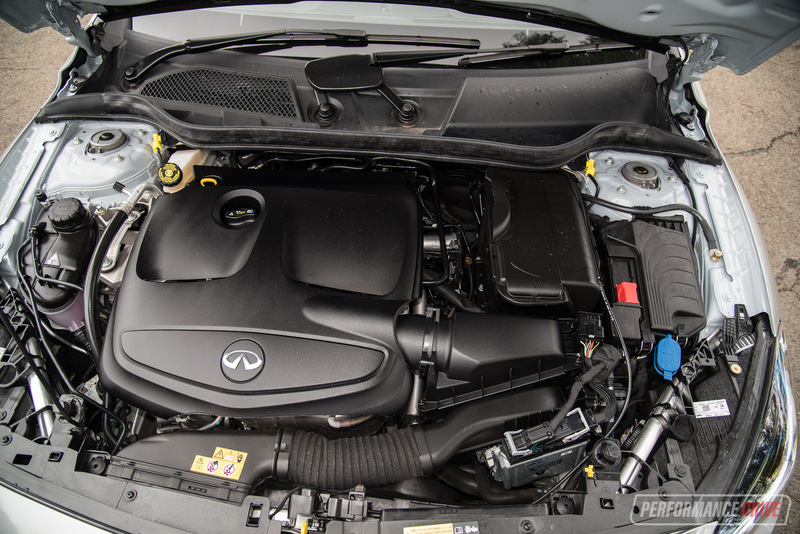 In this sense, the QX30 doesn’t have the overall refinement and consistency of some rivals. As for the engine and performance, you won’t be disappointed. The 2.0-litre turbo gives you its maximum 350Nm of torque from just 1200rpm, and it stays with you until 4000rpm. This is such a broad range for a four cylinder. Some 2.0T units develop 180kW, but they don’t actually feel that quick. Since this is only rated at 155kW, the resulting performance is actually very good. We tested the 0-100km/h sprint in just 7.42 seconds. Despite weighing 50kg more than the FWD Q30, and sending power through an AWD driveline which would no doubt sap some grunt, this acceleration is only just down on what we achieved in the Q30; 7.32 seconds. 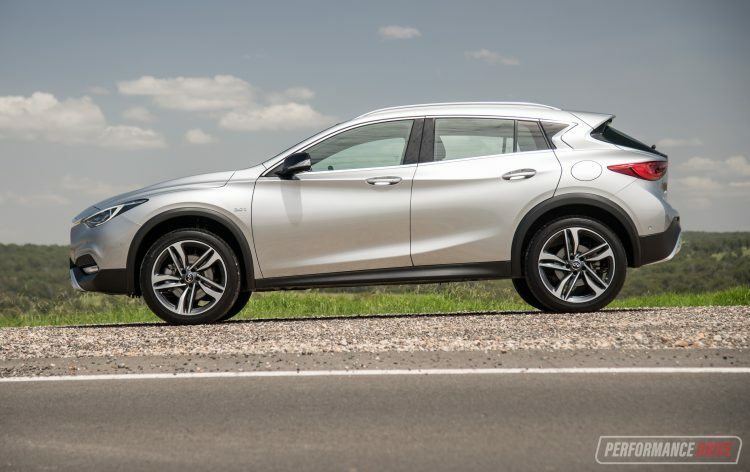 If all you want is affordability and exclusivity in the small premium SUV market, the QX30 is definitely worth a look. 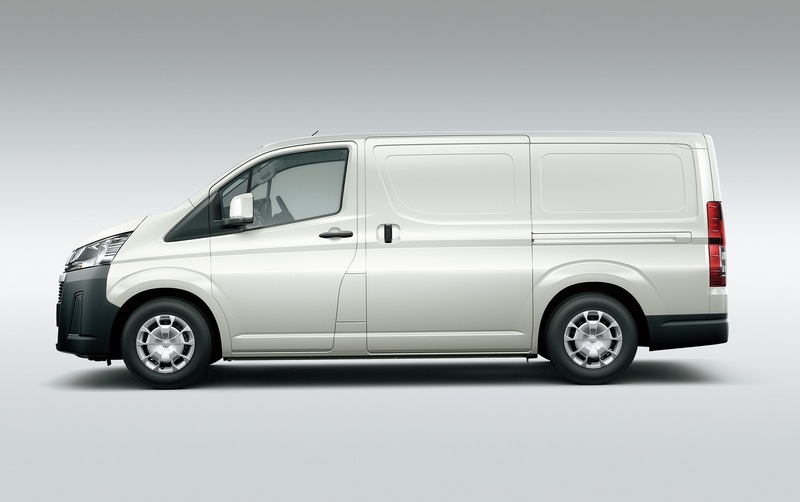 It stands out with a stylish, Japanese design, and comes with a high level of standard features. This latter point is further enhanced by the relatively low starting price, compared with the rivals. However, our advice is to stick with the Q30. 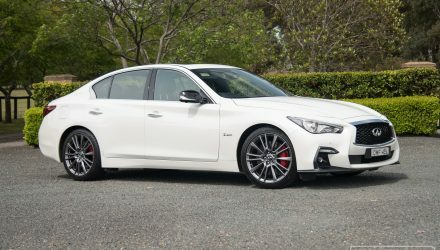 It feels more engaging to drive, looks a bit sportier, and is around $3000 cheaper. That is unless you really need AWD.